The Al Jazeera English service launches worldwide. It is a sister channel of the Bosnia and Herzegovina-based multi-language Al Jazeera Balkans, the online digital networks AJ+ and Al Jazeera Turk and the original, Arabic-language, Al Jazeera. The station broadcasts news features and analysis, documentaries, live debates, current affairs, business, technology, and sports, and claims to be the first global high-definition television network. 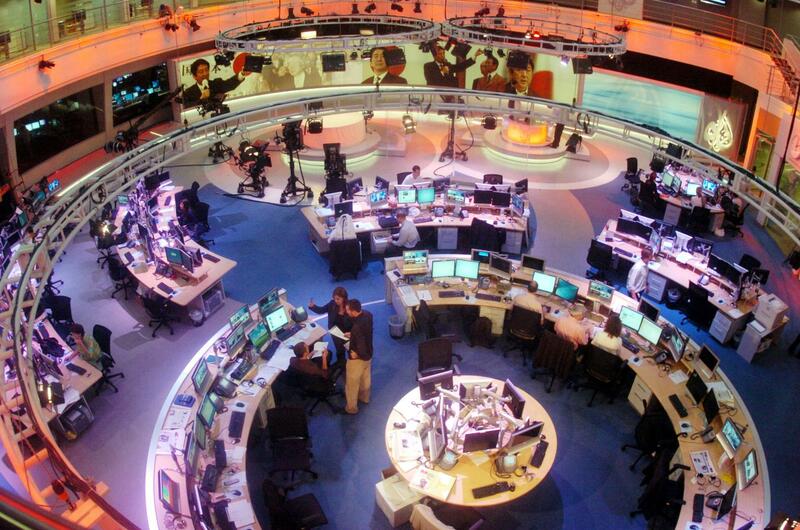 Al Jazeera English is the world’s first English-language news channel to be headquartered in the Middle East. The channel aims to provide both a regional voice and a global perspective for a potential world audience of over one billion English speakers who do not share the Anglo-American worldview.The network’s stated objective is to give voice to untold stories, promote debate, and challenge established perceptions. This entry was posted in Uncategorized and tagged 15 November, 2006, Al Jazeera English by admin. Bookmark the permalink.